Gov. Nathan Deal will soon sign his school turnaround bill into law. The legislation requires the state to provide extra support for struggling schools. Education experts say there’s no magic bullet when it comes to improving schools. However, State Superintendent Richard Woods said recently there is one key ingredient. “I think leadership is probably one of the – if not the – most important factors in making sure our schools succeed,” Woods said. Andrew Lovett took on the challenge of turning around Atlanta’s Benteen Elementary School this year. Lovett studies the numbers. He knows Benteen’s test scores lag behind state averages. He also knows he’ll be judged on whether or not those scores improve. The school’s scores on state tests are getting better, but Lovett said there’s still plenty of room for improvement. Lovett is young, energetic, African-American, and even though this may seem obvious: male. That’s significant because Benteen hasn’t had a male principal in 10 years. The school’s population is 60 percent African-American and 40 percent Latino. It’s also impoverished. Lovett knows some of his students don’t have male role models. Benteen’s state test scores are getting better, but Andrew Lovett said there’s still plenty of room for improvement. As he walks the halls, Lovett greets the kids by name. Most of them give a shy grin or a high five. The optics at Benteen are impressive. The school has a brand new playground with bright blue equipment. It has large, spacious hallways and classrooms full of kids with lots of energy. Pre-kindergarten classes are practicing punctuation; kindergartners are naming facts about Martin Luther King Jr.; first-graders are naming synonyms and antonyms. Education experts say it’s hard to turn schools around. But there’s consensus on what needs to happen. “It’s about culture change, and culture change happens in hearts and minds, and those things don’t tend to switch over quickly or overnight,” said Leslie Hazle Bussey, deputy director of the Georgia Leadership Institute for School Improvement. That sentiment is echoed by Mark Elgart, the CEO of AdvancEd, which accredits and works with schools. “Changing culture takes time, it takes leadership, it takes an investment, it takes patience, but culture is really the biggest hurdle to improving schools,” Elgart said. Lovett says Benteen’s new playground is popular with students. He wants kids to enjoy coming to school every day. Just like in business, poor school culture can be the result of bad leadership. Lovett said improving the culture at Benteen starts with letting teachers know they’re supported. First-grade teacher Angela Wilder said she’s noticed a difference this year. But for that to last, experts say Lovett needs to stick around for a while. 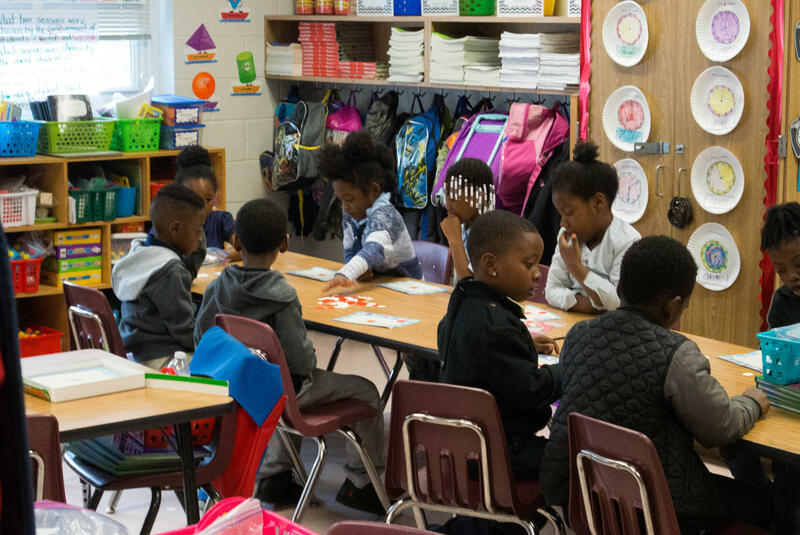 “There are lots of correlational studies that say when you’ve got principal after principal after principal, you’re going to see higher teacher turnover in that same school, and we know that those two things correlate to lower student performance,” Bussey said. For his part, Lovett said he plans to stay at Benteen for a while. 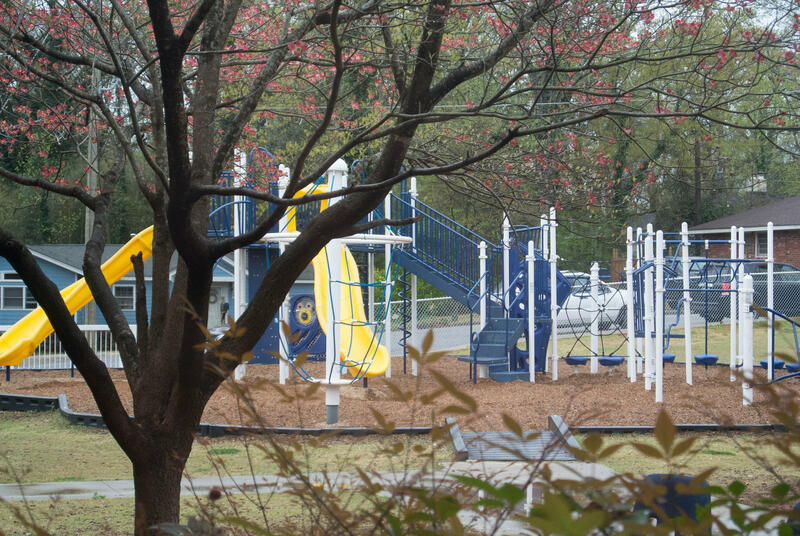 A note of disclosure: Benteen Elementary School is part of the Atlanta Public Schools, which holds WABE’s broadcast license.